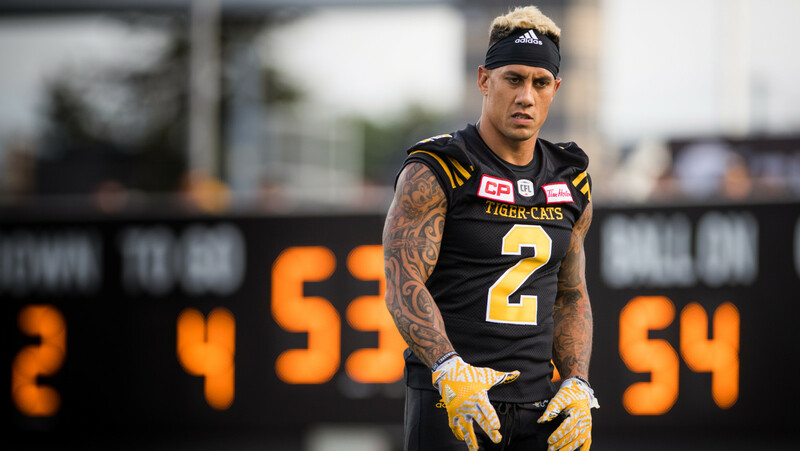 TORONTO — One of the CFL’s fastest players could be quick to make an impact for the Lions, while the Ticats’ injury list is growing. Plus, while Andrew Harris is set to draw back in for the Bombers, who could be hitting the shelf in Winnipeg? – The Lions are playing it patient with former top prospect Brett Boyko, who’s still weighing NFL options after his release from the San Diego Chargers (Mike Beamish, Vancouver Province). – One of the CFL’s fastest players, it’s hardly a surprise that Terrell Sinkfield is speeding into a starting role with the Lions (Mike Beamish, Vancouver Province). 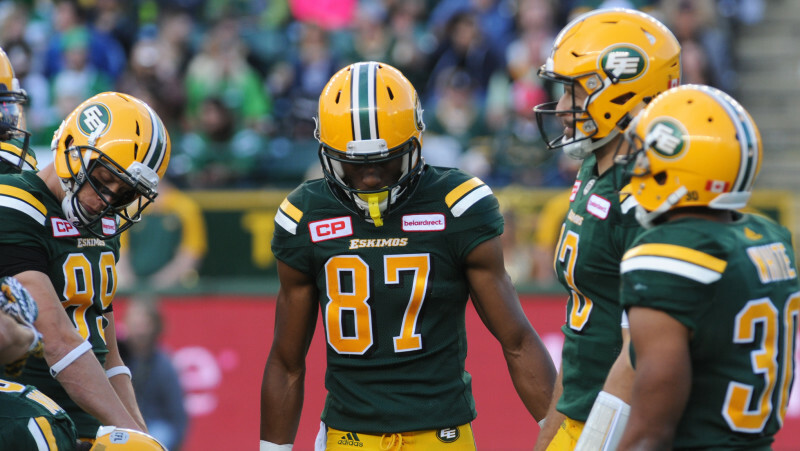 – The schedule doesn’t get any easier for the Esks following their third straight loss as they look to bounce back against the well-rested Lions (Gerry Moddejonge, Edmonton Journal). – Can a single play sum up an entire season? For the Edmonton Eskimos that might be the case (Matthew Cauz, CFL.ca). – Could crossing over to the East drastically improve the Eskimos’ chances of getting to the Grey Cup? The latest CFL Simulation seems to think so (CFL.ca). 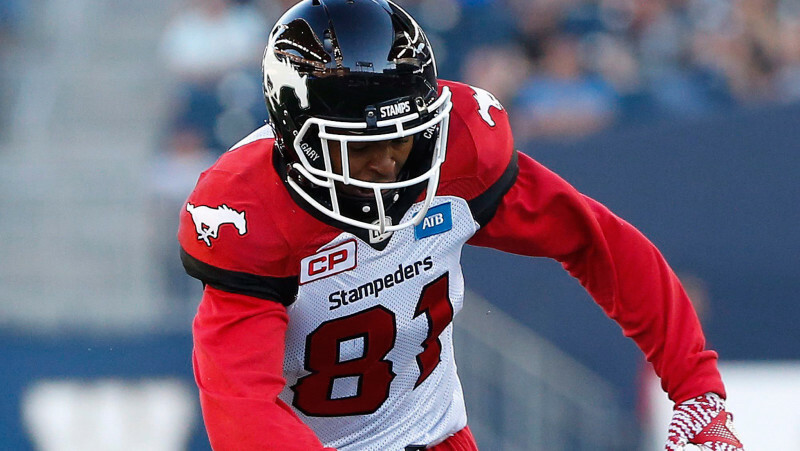 – The Calgary Stampeders have placed receiver Bakari Grant on the six-game injured list (CFL.ca). – The third quarter has been the Stamps’ lowest-scoring quarter this season, but Head Coach Dave Dickenson is unfazed (Daniel Austin, Calgary Herald). – The Stampeders remain the undisputed Grey Cup favourite according to the latest CFL Simulation (CFL.ca). – The Saskatchewan Roughriders have added internatonal running back and former Eskimos Joe McKnight to their practice roster, along with national receiver Joshua Stanford. – When the Riders beat the Eskimos in overtime in Week 13, they celebrated like they won the Grey Cup — and for good reason (Matthew Cauz, CFL.ca). – And who was there leading the Riders’ post-game celebration on Sunday? Jarriel King’s son, of course (The Snap). 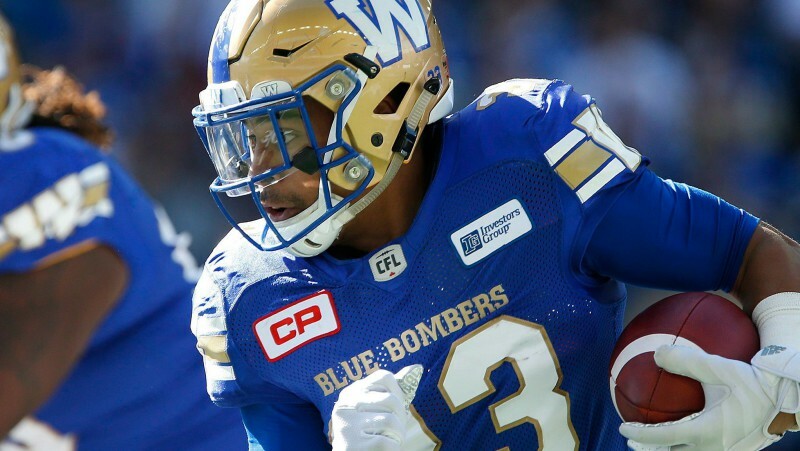 – While Andrew Harris is expected to return barring any setback, Ryan Smith will not play in Week 14 and Gerrard Sheppard and Quincy McDuffie are questionable (Kirk Penton, Winnipeg Sun). – Is Matt Nichols an elite CFL quarterback? He’s trending that way in the latest CFL.ca Quarterback Index (CFL.ca). – Chad Owens will not play on Saturday and could be joined on the sideline by a growing list of others, including Courtney Stephen and Luke Tasker (Steve Milton, The Hamilton Spectator). – While C.J. Gable remains sidelined at Ticats practice, Ross Scheuerman showed he’s more than adequate as a replacement in the Ticats’ backfield (Steve Milton, The Hamilton Spectator). – The Ticats have added two internationals to their practice roster: running back Michael Ford and defensive back Jermaine Robinson. They also announced Wednesday the addition of international defensive back V’Angelo Bentley. – While the Argos have shown glimpses of being a good football team, consistency has eluded them thus far in 2016 (Mike Ganter, Toronto Sun). – Dan LeFevour has put any Drew Willy talk aside, for now, officially earning the nod as the team’s starter on Friday night in Ottawa (Chris O’Leary, The Toronto Star). – Milanovich says LeFevour gives the Argos the best chance to win (CFL.ca). – The Argos have added receiver DeVier Posey to the practice roster and released running back Henry Josey. 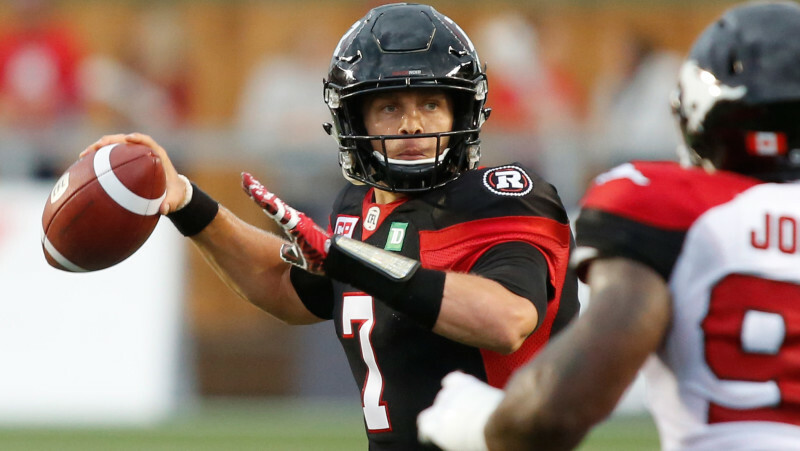 – With a one-sided loss to Calgary in the rear and a difficult schedule ahead, the Ottawa REDBLACKS need to find themselves fast vs. the Argos (Don Brennan, Ottawa Sun). – The Ottawa REDBLACKS have added five internationals to their practice roster (OttawaREDBLACKS.com). – Ottawa will get a huge boost to its pass rush in Week 14 as Arnaud Gascon-Nadon and Aston Whiteside are set to return to the lineup vs. Toronto (Tim Baines, Ottawa Citizen). – He wasn’t the expected choice, but Jacques Chapdelaine’s promotion makes him Montreal’s first ever francophone head coach (Herb Zurkowsky, Montreal Gazette). – Whether it’s Jacques Chapdelaine or someone else, Als GM Jim Popp will have a major say in the team’s next long-term coaching hire (Rick Moffat, TSN 690). 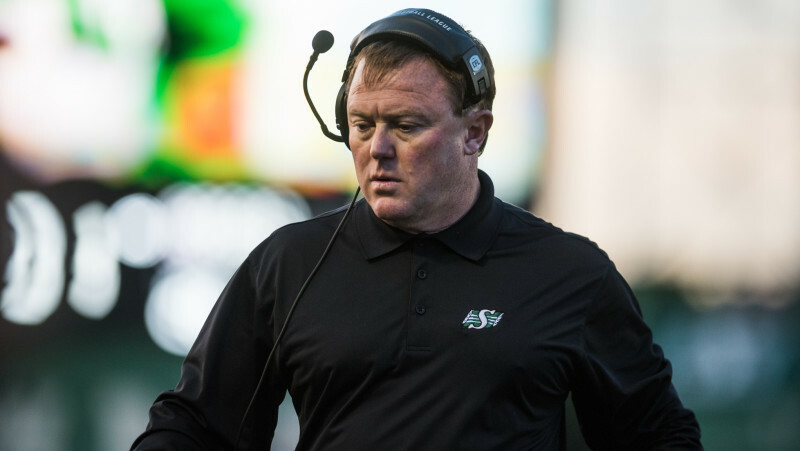 – Players in Montreal have reacted positively to Chapdelaine’s hiring, including the always outspoken Duron Carter (Herb Zurkowsky, Montreal Gazette). – Many agree that the Alouettes’ coaching change was the right move, but what’s next? (Marshall Ferguson, CFL.ca).